For Ellenberger, working with all his sweat, blood, and tears paid off as he made another contract with UFC. This man from Nebraska will have four more fights to put to his record. And staying on the good side of the promotion is very motivating. 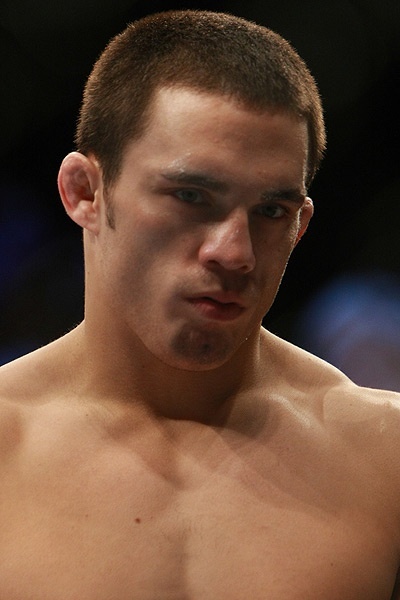 Jake Ellenberger just signed a new 4-Fight contract to UFC after his win over John Howard. It seems that winning is the best way to stay on the promotion, and for the Nebraskan native — it paid off big time. Ellenberger’s only loss in the UFC is by split decision against WEC Champion Carlos Condit. This Nebraskan native picked up two wins over Howard and Mike Pyle via stoppage, giving him a 2-1 record. For him, making his way to the Octagon — after fighting in several other promotions — is a dream turned into reality. The new deal definitely solidifies his future on the ring. Ellenberger was exclusively training at Mark Munoz’s gym in California before his fight with Howard. But he headed back to Nebraska after the match to spend time with his family and friends. He will stop at the next couple of cards to appear for the UFC Fan Expo in Boston for the UFC 118 during the weekend. Then he will head back to South California to train again. He is likely to make another progression when Joe Silva makes the call for his next fight. Ellenberger already proved that he can hang with the best, and he’s looking forward to fight more of them. Who do you think should Ellenberger fight next? Tell us by leaving a comment.